Defense One is out with a piece that should make American taxpayers and Congress mad…. American airplane manufacture beat out Airbus to supply the US Air Force replacement airial refueler jets….NONE HAVE BEEN delivered since Boeing won the contract in 2011…. Airbus, who lost the contract to Boeing ? Has been refueling American aircraft for the last four years with the same Allied Airbus A-330 that the US deemed not acceptable…. 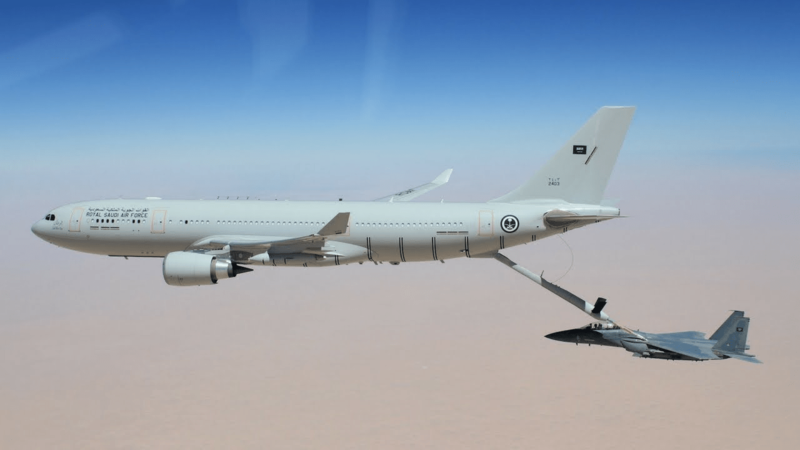 The US Air Force is looking for additional refueler aircraft now…. Will they and Congress continue to stick to Boeing, the American manufacture who can’t produce, or?….Will they ‘do the right thing’ and put politics aside with Airbus A-330 buys, ‘as is’, and start receiving them probably before Boeing can get it’s act together and deliver even a few KC-46’s? Airbus and Lockheed officials say their pitch is largely focusing on this new requirement and the hundreds of planes that the Air Force plans to buy after Boeing delivers a planned 179 KC-46 tankers — suggesting that it is not an attempt to persuade service officials to curtail those plans. Boeing officials view it the same way, a person familiar with the situation said. Airbus and Lockheed are pitching the A330 tanker — the same aircraft that lost to Boeing’s KC-46 in 2011. The Air Force flies about 400 Eisenhower-era KC-135 Stratotankers and 59 of the larger KC-10 Extender tankers. The KC-46 is supposed to replace about half of the KC-135s, while an effort called KC-Y is supposed to replace the remaining Stratotankers. The KC-46 still has “a couple major deficiencies,” Wilson said Nov. 15 at the Defense One Summit….